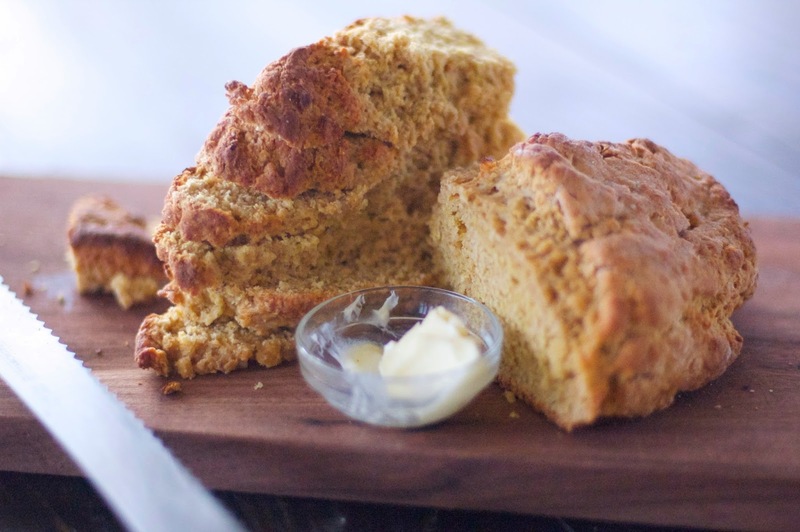 Irish Soda Bread: Top O’ the Morning to You! March is a full month- it holds Lent (the liturgical season leading up to Easter); it’s National Reading Month (which I love); it’s National Social Work Month (of which I am a part); and St. Patrick’s Day. I have been thinking “Irish”, in anticipation of St. Patrick’s day. Our family tradition is eating Lucky Charms and wearing green. Last year we ate Lucky Charms for dinner- and that was a hit, so we plan to repeat that tradition this year. I’ve been learning about Irish Soda Bread and have attempted a few loaves of different varieties, made with different recipes, and have found one that I think is delicious and a great go-to loaf of quick bread! 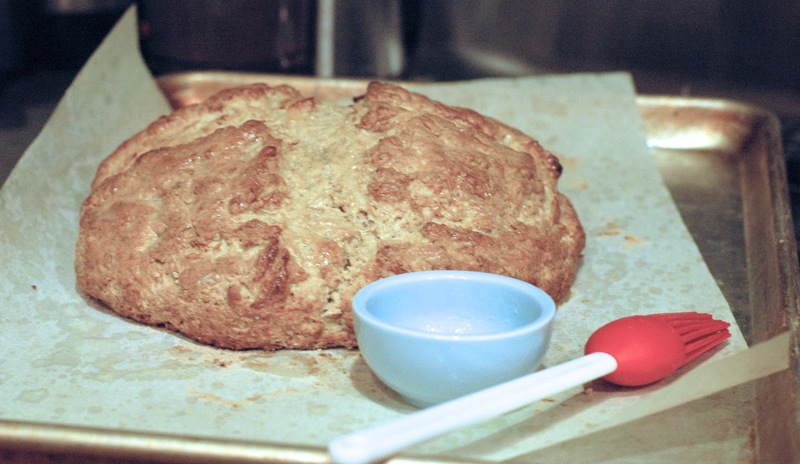 If you don’t know about Irish Soda Bread, here’s the story. It is called “soda bread” because it is made with buttermilk and baking soda- causing the reaction which allows it to rise (rather than yeast which requires rising and resting time). It’s sometimes made with currants or raisins and other times a more nuttier brown bread version. The Irish oftentimes make this as a dinner loaf of bread. The first loaf I made was from the Back in The Day Bakery cookbook which contained currants. It was so tasty with butter and jam and great for breakfast. It was just a touch of sweet because of the currants but perhaps a little deceiving, as it is not a sweet bread, as one might think by the looks of things. When I brought it to my office to share, my colleague Jenny mentioned having recently seen the America’s Test Kitchen episode where they made beef stew and Irish Soda Bread, and it made her want to make it especially since they had melted butter brushed on the baked loaf! So I came home and looked up the episode and watched it and it looked so good (as did the Beef Stew, which I wouldn’t typically crave, but looked exceptional). America’s Test Kitchen is the source of Cook’s Illustrated magazine and the BEST RECIPE cookbooks, which I have mentioned HERE. I had never watched the Cook’s Country Show, and I’m so glad Jenny mentioned it, because I loved it! Since watching the episode, I have made the bread 3 times- each time learning more about it. It is more of a nutty “brown bread” recipe. I think for a meal bread, it’s more universal to make this version without the currants, though I like the sweetness and texture of the currants. Instead of the whole wheat/ white flour combination for which the recipe calls, a couple of times, I simply used white-wheat flour. It worked well. With the first loaf of this version, I sliced it and served it with butter and jam at church. A couple of days later, I made a loaf to go with the Chicken and Wild Rice Soup we had for dinner. It was a treat to have a fresh loaf of bread with dinner. It is that quick and easy. You really should try making it! 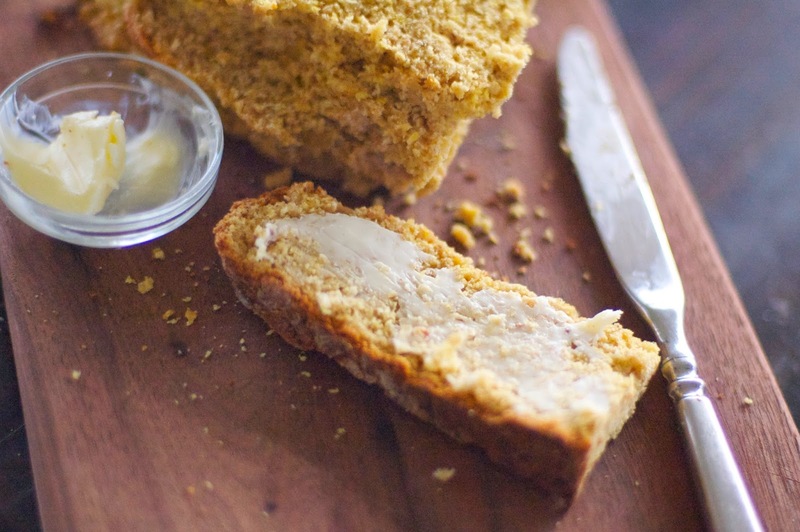 This recipe produces a dense and wheaty loaf with a buttery, and craggy crust. Adjust oven rack to lower-middle position and heat oven to 400 degrees. Whisk all-purpose flour, whole-wheat flour, wheat germ, sugar, salt, baking powder, and baking soda together in large bowl. Combine buttermilk and 2 tablespoons melted butter in 2-cup liquid measuring cup. 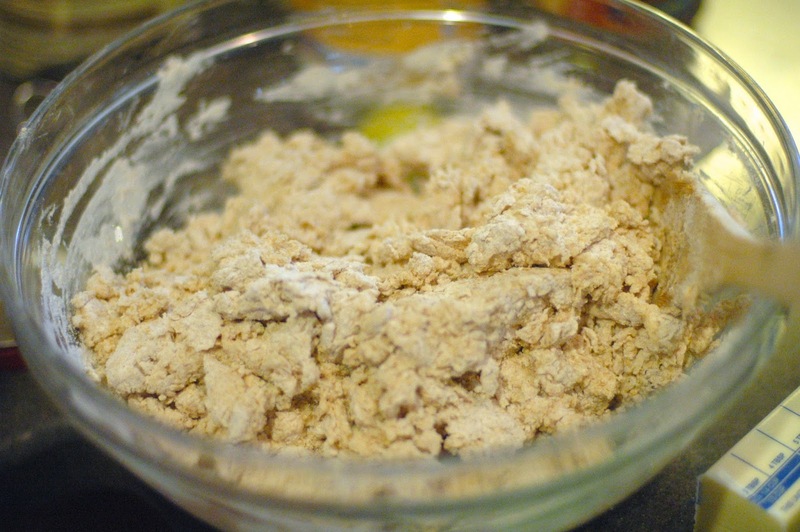 Add wet ingredients to dry ingredients and stir with rubber spatula until dough just comes together. Turn out dough onto lightly floured counter and knead until cohesive mass forms, about 8 turns. Pat dough into 7-inch round and transfer to prepared sheet. Using sharp serrated knife, make ¼-inch-deep cross about 5 inches long on top of loaf. Bake until skewer inserted in center comes out clean and loaf registers 195 degrees, 40 minutes, rotating sheet halfway through baking. (I had never used a thermometer to determine the doneness of bread, but it was such a help). Remove bread from oven. Brush with remaining 1 Tbsp. melted butter. Transfer loaf to wire rack and let cool for at least 1 hour. Serve. It’s important to keep in mind that you have to eat it (or freeze it) in about 24 hours, as it hardens more quickly than some bread. It is good toasted on day #2. Happy March, and all that it holds, and happy bread-baking!